Idaho received one of the nation’s lowest grades Wednesday, as Education Week released its annual rankings of the states’ school systems. Overall, Idaho’s grade came in at 67.6 — or a D-plus. Idaho topped only three states: New Mexico, Mississippi and Nevada, and its ranking was unchanged from 2016. 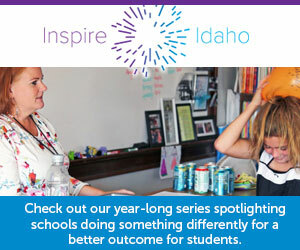 Idaho received a failing grade for school spending — in part because of low per-pupil spending. Education Week based its rankings on 2014 data, when Idaho’s per-pupil spending exceeded only one state: Utah. Only 29.6 percent of Idaho’s 3- and 4-year-old children attended preschool, the lowest percentage in the nation. Idaho is among only a handful of states that does not offer state-funded pre-K.
Only 35.9 percent of Idahoans over age 25 hold a postsecondary degree; only 10 states ranked lower. For several years, the state’s education, business and political leaders have rallied behind an ambitious and possibly unlikely goal. They want to see 60 percent of the state’s 25- to 34-year-olds hold some postsecondary degree, by 2020. There were a few bright spots in Idaho’s scores. The state beat national averages on several metrics Education Week described as “early foundations.” Curiously, one of these metrics goes back to college education: 51.4 percent of Idaho children have at least one college-educated parent, and the national average is 48.8 percent. Idaho’s “achievement gap” — differences in test scores, based on student poverty — was less pronounced than the national average. The nation’s average grade was a 74.2 — a C. Massachusetts received Education Week’s top score, at 86.5. Nevada received the nation’s lowest grade, a 65. Click here for more from Education Week’s rankings, with a view to states’ compliance with the federal Every Student Succeeds Act.